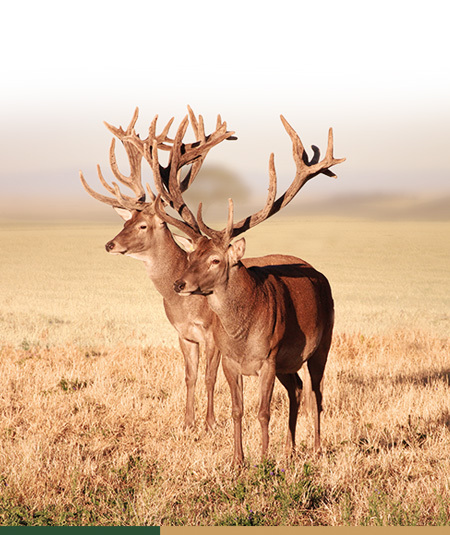 The impressive toughness of antler, seven times greater than human bones, and the high speed of its growth (reaching one centimetre per day in Iberian deer), are two of the facts that inspired research lines of our team that ended in findings that may explain jointly bone diseases such as osteoporosis and their relationship with Parkinson and Alzheimer.Deer suffer every year transient osteoporosis coinciding with the time in which antlers grow and mineralize. After antler growth, such osteoporosis disappears. Recent findings have led to the discovery of superbones similar to antlers, but alive instead of dead as the former. This may no only extend the life of mechanical quality of bones, but also improve the impact resistance of a healthy bone, or perhaps one day even revert osteoporosis. Deer antler is a bone seven times more resistant to impact than bones from human skeleton.